With almost a decade of breeding experience and over a dozen litters to our name thus far, we are proud to be internationally recognized for our dedicated efforts to preserve and promote this rare wolf-lookalike breed. Through careful selective breeding, to improve the breed as a whole, each of our litters is meticulously planned so as to produce Tamaskan puppies that conform to the official breed standard set by the Tamaskan Dog Register (TDR): the international registry for all pedigree Tamaskan Dogs worldwide. We have been officially registered with the Tamaskan Dog Register (TDR) since 2009. Aside from being a TDR registered breeder, we are also registered with the Croatian Ministry of Agriculture (license number: HR191/64/15P). We look forward to making a strong contribution to the future of this incredible, unique breed. So, whether you are looking for a beloved family pet or a personal hiking companion, or want to participate in more advanced obedience training (service dog, SAR, etc) you've come to the right place. Our goal is to produce healthy Tamaskan puppies with exemplary temperaments and an eye-catching appearance. Our adult breeding dogs are all fully health tested (hips, elbows, eyes and DM) as well as DNA profiled via Neogen GeneSeek and DNA tested via MyDogDNA. Moreover, all of our puppies are also DNA profiled via Neogen GeneSeek and DNA tested via MyDogDNA before they go to their new homes. We take pride in our Tamaskan puppies who bring so much joy to the lives of their families all over the world and we want to share this joy with you. Once again, welcome to our website... we hope you enjoy your visits here! 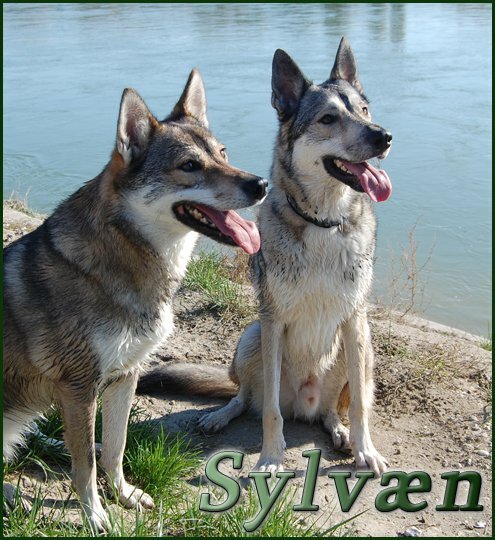 Much love from the Sylvaen Pack. We are officially registered with the Tamaskan Dog Register. please visit our Media page and YouTube channel to learn more!